The rupee gave up early gains after hitting 63.25 against the US dollar at day's high. Rupee Vs Dollar: Rupee hit 63.25 against the US dollar at day's high. The rupee's rally continues into 2018. Today, the rupee rose to 63.25 against the US dollar - its highest level against the greenback in 32 months (since April 2015). 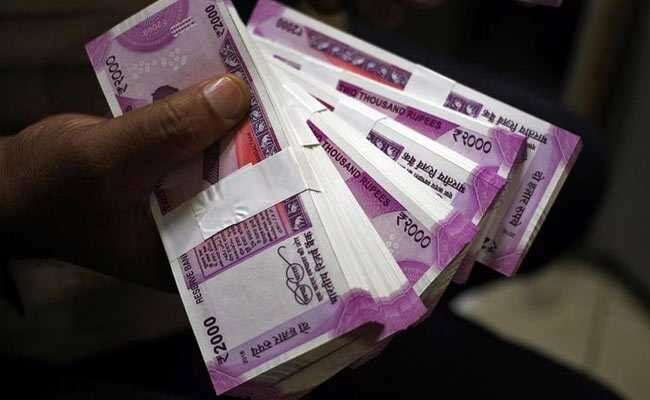 The rupee had closed at 63.37 against the US dollar on Friday. Besides a broad weakness in the US dollar, firmness in domestic stock markets also lifted the rupee. BSE benchmark index Sensex rose nearly 200 points today to post yet another closing high. The rupee however slipped later to close at 63.50 against the US dollar. 1) The US dollar index, which is a measure of the value of the US dollar relative to a basket of foreign currencies, continued to languish at a three-and-a-half-month low. The US December non-farm payrolls data on Friday was weaker than expected. 2) Though investors are reckoning that the Federal Reserve would still raise interest rates multiple times this year, they expect Fed to hike rates at a gradual pace. Investors believe that US inflation will remain tame as wage growth has been slower than before the 2007-2008 financial crisis. This is keeping pressure on the US dollar. 3) The rupee had gained nearly 6 per cent against the US dollar last year. 4) For the whole of 2017, the US dollar index slid more than 9.8 per cent. This is the greenback's worst annual performance since 2003. 5) Currency dealers said continued foreign fund inflows and weakness in the greenback against other currencies overseas supported the rupee today. 6) The rupee is also supported by the belief that economic growth in India will accelerate this year. The recent data has been encouraging. 7) Factory activity expanded at the fastest pace in five years in December, a private sector survey showed on Tuesday, buoyed by a rise in output and new orders, which allowed firms to raise prices. 8) Services industry bounced back to modest growth in December after contracting in the previous month, another private survey showed on Thursday. 9) Forex advisory firm IFA Global Some expects the rupee to strengthen to 63.00 levels in this quarter. 10) "On a closing basis 63.35 is an extremely crucial support. Break below could open doors towards 62.90," according to IFA Global.